Four hundred and twenty open positions in the entertainment department, as lifeguards and in the hospitality area, such as manager, reception, food and beverage and housekeeping. 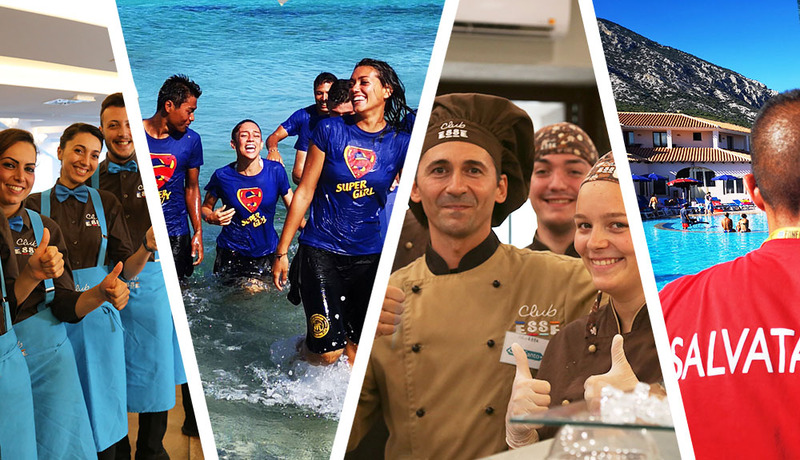 If you are looking for a work experience that combines the beauty of Italian coasts, with the enthusiasm of an adventure that will introduce you to many new people, you have found what is right for you. A widespread recruiting campaign is starting to find and place the right candidates in the fourteen chain resorts, located on the beautiful central and southern (and on the islands) coasts of four Italian regions. The most requested profiles in the field of entertainment and tourist animation are audio-lighting technicians, scenographers and set designers, choreographers, miniclubs entertainers and sports instructors, in particular tennis, archery and fitness. And there are excellent opportunities for those who want to pursue their professional paths as head of entertainment, musician and dancer. In addition to this, there will be open positions also as lifeguards and boutiques attendants, while for the hospitality area, Club Esse will search for candidates to be included in the reception areas, food and beverage, and housekeeping. The first stop of the recruiting tour will be the BIT2019, the International Travel Exhibition in Milan, Fieramilanocity February 10th and 11th. All you need if you want to spend the 2019 summer season between fun and work in tourist animation and in the hotel industry, will in fact be a mix of experience and positivity, because “Choose happiness” for Club Esse is a way of being and approaching the job. To participate in the selection it is necessary to accredit on the site www.bit4job.it. This is part of the value process of the territory that Club Esse has been pursuing for years, looking for the hotel staff in the places where the seaside resorts are located, in order to enhance the local skills, traditions and ‘flavors’. Finally, starting from March 9, 2019 the recruiting meetings will be organized by appointment in Rome, Milan and Naples. All those who pass the recruiting process will be invited to APP19, the training and team building event that Club Esse organizes every year to take care of growth, motivation, cohesion and also the loyalty of the tourist professionals of tomorrow. Also this edition will take place at the Club Esse Mediterraneo, from 28 April to 1 May 2019.